Sometimes a fantasy baseball sleeper can become even more of one. Such is the case with newly named Cincinnati Reds second baseman Jose Peraza who team manager Bryan Price said would be the starter there after veteran Brandon Phillips was traded over the weekend to the Atlanta Braves, Even before that deal was consummated, Peraza was a guy I already was high on from a sleeper angle as those who got this year's Fantasy Sports Boss 2017 Fantasy Baseball Draft Guide can attest. While Peraza was previously looking at a utility role, the trade of Phillips makes him a firm starter which adds to the potential upside. With a current ADP in the low 200's, Peraza is looking like one of the best bargain sleepers for 2017 fantasy baseball. 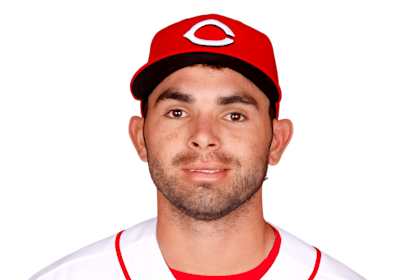 Digging into Peraza a bit more, he has caught some previous attention from being a big piece of two big trades that have taken him from the Atlanta Braves organization to the Los Angeles Dodgers and finally to the Reds a year ago. What really had stood out about Peraza in the minors was his tremendous stolen base acumen which include a season of 64 steals in 2013 for the Braves in A-Ball. Even as recently as 2015 at Triple-A, Peraza stole a total of 33 bases between the Braves and Dodgers' farm systems; while also showing he can be an average help in batting .294 and .289 respectively. With the Reds in full rebuild mode in 2016, the opportunity was there for Peraza to make a name for himself and he more than did so when called up midway through the year. In just 256 at-bats in a semi-regular role for the Reds last season, Peraza hit a scorching .324 and ran wild with 21 steals. Peraza's stolen bases were incredibly impressive on a per game basis and you can make the argument that he was just as good as the much more insanely hyped Trea Turner who stole 33 bases in 324 at-bats. 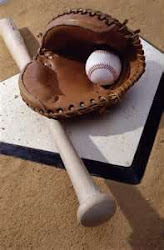 Adding to the intrigue was the fact Peraza also hit 7 home runs which was a part of his game that was not shown in any way shape or form in the minors. Yes it is probably a good idea to throw those 7 homers out since Peraza's previous high at any level was 3 but a the age of 23 this April, there is no reason not to expect him to grow into some power as he further develops, What you are truly buying here is a MAJOR stolen base asset who can also score 80-plus runs hitting at or near the top of the Reds lineup. Peraza will also be an annual .300-plus hitter as well since he is way advanced beyond his years in putting up a ridiculously great 12.9 K/9 rate with the Reds last season. Yes Peraza needs to walk more (just 2.7 BB/9 last season) but everything else checks out. Finally, Peraza has second base, shortstop, AND outfield eligibility which adds to the attraction. So what I will say is that yours truly will have no issue himself reaching a few rounds early for Peraza; so considering am I in his ability.